A somewhat playful anniversary release from Belgium's Marche Funèbre seems like the perfect use for an EP format exploration. Regular visitors to this parish will already know well enough that I'm a fan of Mechelen-based Marche Funèbre, and it's nice to see them celebrating the band's tenth birthday with their customary verve and enthusiasm. Amongst the anniversary plans and projects comes this release: 'Death Wish Woman', described as "a conceptual EP...3 brand new tracks and 1 cover... This time they incorporated some thrash metal elements in their sound, without losing their own - albeit eclectic - identity". And, yes, you will notice that it kicks off at a pretty up-tempo pace for a work of Doom, with the rhythm section delivering a rumbling, heavy-on-the-bass assault that wouldn't have sounded amiss on the first couple of Iron Maiden albums, or - in places - the first couple of Voivod ones. 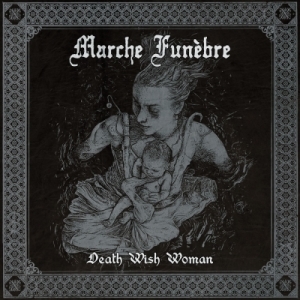 Not that it sounds directly like either band, though: mostly it just sounds like Marche Funèbre playing quite fast - something they've never been terribly shy about doing in the past, even if this time it owes a little more to NWOBHM and Thrash than Black and Death Metal. Anyway, it works as a combination, though it may not always meet with favour from those who prefer their Death/Doom to progress in more glacial fashion. Well, I guess if there is a principal difference between an EP and an album these days - given that a modern 'EP-length' release can easily outlast an older 'full-length' release - it's that it can afford to be more experimental and diverse in the subject matter it addresses. Which, with the conceptual trilogy of new songs, is mainly apparent from their different musical styles. Essentially, whether they were intended to be a continuous story or not, the actual delivery gives them more of the feel of three separate tragedies, loosely linked by the different protagonists' melancholy fates. 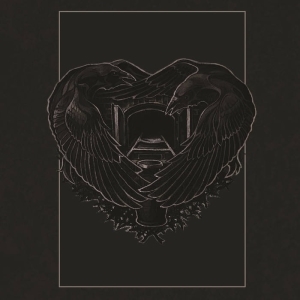 Opener 'Broken Wings' swaggers in with a swelling, dramatic layering of instruments, before gaining speed and pace - lyrically and structurally, it reminds me in some ways of a more sophisticated 'Regiment Of The Hopeless', from the 'To Drown' debut. The title track doesn't mess about, launching a galloping NWOBHM-inspired riff assault and pretty much carrying that all the way through. 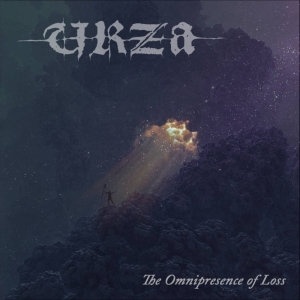 Third of the triptych, the much lengthier 'A Departing Guest', returns to a more typical Marche Funèbre blackened Death/Doom fusion, contrasting faster and slower sections, and clean and harsh vocals. The EP signs off with a somewhat heftier but otherwise fairly faithful rendition of Paradise Lost's 'As I Die'. I guess it fits in well enough with the concept, and the louder, more energetic performance does at least do something to offset the frankly tinny, turgid Goth-Rock-by-numbers recycling of the original. I like this version better, but, with the best will in the world, that's not setting a very high bar, and it's by no means the compositional equal of any of the preceding pieces on the EP. I will admit that, beyond the more-or-less factual aspects of 'Death Wish Woman' outlined above, I have struggled a little to come up with a personal summary. Even to the point where I put it completely aside for a couple of weeks, to come back with to it with something like fresh ears. It's not that I don't like it: I do. There are some great things about it, especially when the twin-guitars-plus-bass are deployed almost as a classic Metal triple-lead-line formation. I like the way Arne's clean vocals have continued to develop over the years, hitting some equally classic Metal highs in places. I like the ever-tighter, ever-more-technically-proficient soundscapes that the band have developed over the years. 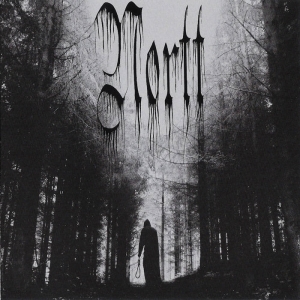 But, for once, I find myself enjoying a Marche Funèbre release not so much for the ostensible Doom content, but as more of a good old-fashioned "Heavy Metal thunder" type romp. Yes, the lyrical material's suitably dark and dismal, but it's nothing you couldn't find being delivered by bands of the likes of, say, Angelwitch, the aforementioned Maiden and Voivod - and the musical pace and dynamics, for the most part, seem pretty much derived from those sorts of early-mid '80s vibes. Although, it's equally true to say that there's a decidely modern/extreme heaviness laid over those roots, and 'A Departing Guest' shows that the band can still show off all their Doom chops with practiced ease, whenever they want.